Love Food & Wine? Love Adventure & Sailing? Join me aboard Windstar Cruises Star Legend sailing from Vancouver to San Diego for 10 days in September 2019. 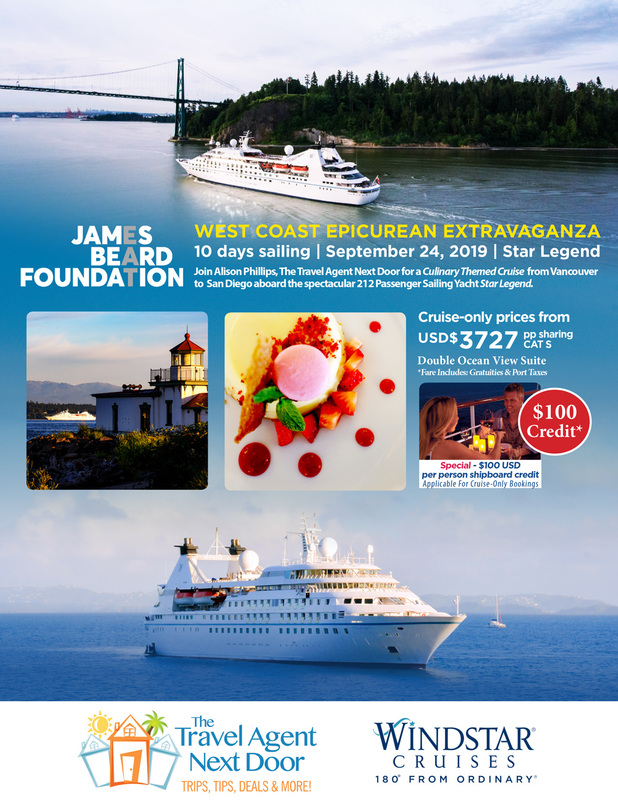 This James Beard Foundation Culinary Themed Cruise will delight you with delicious cuisine, wines, beers, and stops all down the West Coast of USA! With only 212 passengers, this exclusive small ship experience is like sailing on your own yacht! We'll visit Pike's Place Market in Seattle, Wineries in Oregon, sail under the Golden Gate Bridge into San Francisco, wine tours in Sonoma, evenings ashore enjoying the famed West Coast magic! 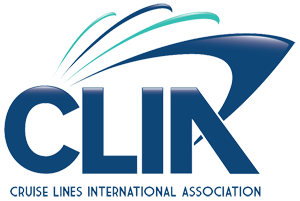 Departing September 24, 2019 from Vancouver, this special cruise is $3727.00 USD per person sharing Category S, double Ocean View Suite. Price includes Port Taxes and Gratuities! To book this amazing trip, contact Alison at aphillips@thetravelagentnextdoor.com. Airfare, additional nights in Vancouver and San Diego, insurance can all be added to provide a fabulous trip of a lifetime which is "180 degrees from ordinary". Interested in West Coast Epicurean Extravaganza Travel Experiences?